Sarah Rabinowitz in a 2016 photo taken at Labrador Hill Sanctuary. The founder of a Camden County horse sanctuary has been charged with animal cruelty for allegedly failing to provide her animals with adequate water and shelter. 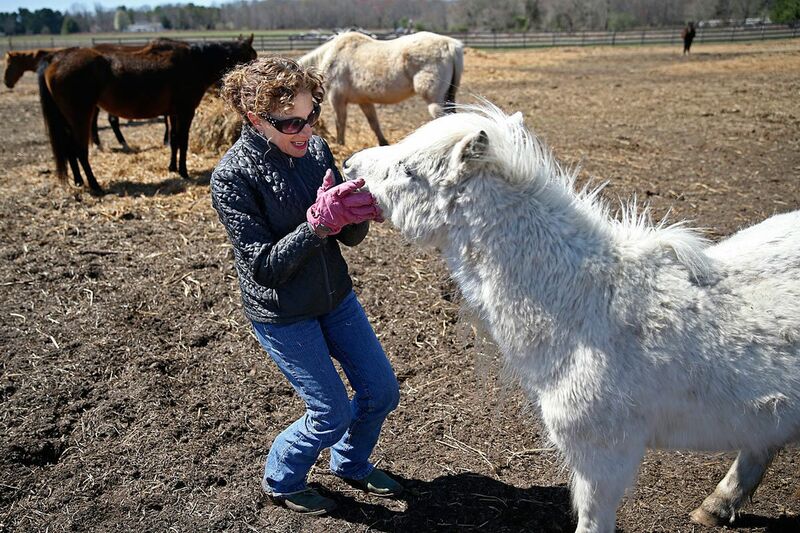 Sarah Rabinowitz, 62, of Waterford, is owner of the Labrador Hill Sanctuary, a Waterford farm that houses about 70 horses, donkeys, and other animals. She was charged after a search of the 15-acre property Friday by local authorities, according to the Camden County Prosecutor's Office. The search warrant was obtained after a meeting Wednesday of members of the Camden County Prosecutor's Office, law enforcement officers from the Waterford Township Police Department, agents from the New Jersey Society for the Prevention of Cruelty to Animals, and a veterinarian from the New Jersey Department of Agriculture. Rabinowitz was charged with 57 counts of fourth-degree causing bodily injury to a living animal or creature by failing to provide necessary care. She also was charged with five counts of animal cruelty, a disorderly-persons offense. She was released pending a future court date. Rabinowitz was issued a court order mandating that immediate remedial measures be taken regarding insufficient water sources and inadequate shelter for the animals, the prosecutor's office said. The nonprofit farm, which was the subject of a 2016 Inquirer column, was founded in 2000 with the goal of providing a safe place for horses to roam free, without being confined to stalls.